Cardboard boxes now available with even bigger discounts. 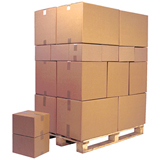 For everyday packaigng essentials, Davpack wide range of single, double wall and econoPOST cardboard packaging supplies now available for purchase in pallet quantities. Purchasing bulk packaging no longer needs to be a tideous task to complete. Now available to purchase by the pallet, cost per box is reduced whilst savings are immediate. 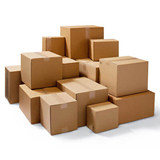 Making packaging supplies even more affordable for the growing business. 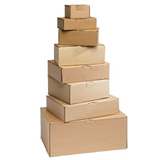 Offering even more generous discounts our cardboard pallet deals offers immediate savings per box compared to our smaller packed quantities. Simply order before 2:30pm during the week for same day dispatch - guranteed!